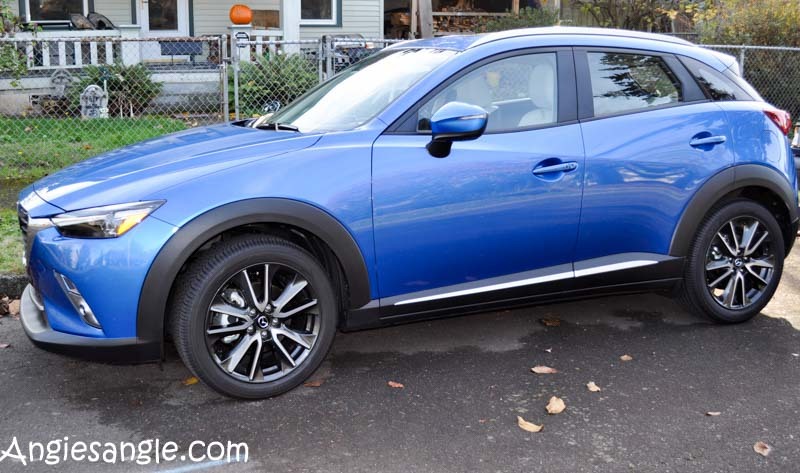 This stylish pretty blue 2017 Mazda Cx-3 pulled up to our house Tuesday afternoon, November 1st for our driving pleasure the following week. What kind of fun could we have in this test drive this go-around? I couldn’t wait to find out. Sadly, the day it arrived I had a slight cold that was making not feel up to snuff. Because of that, the first time I was able to get out and take a photo was Thursday. Which I shared on Instagram. Hopefully, some of you saw it. 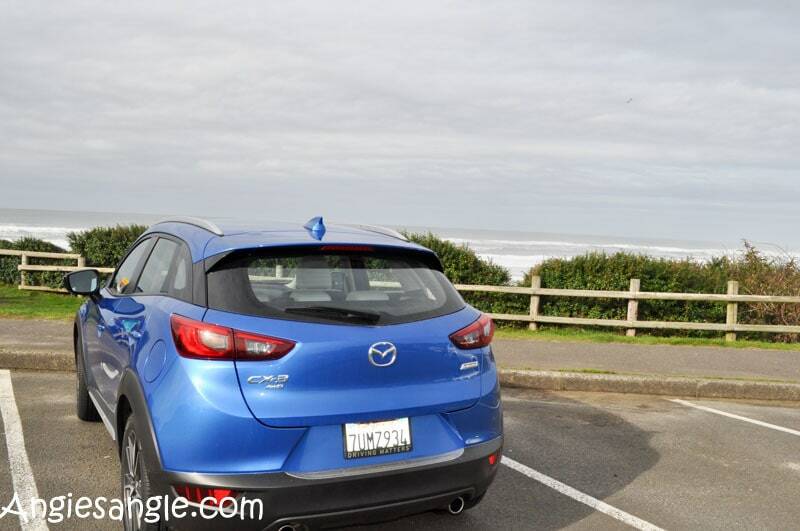 Happily, though by Sunday I was feeling better and we Zoom Zoomed it to the Beach in the Mazda Cx-3. Let me first start with the seats. 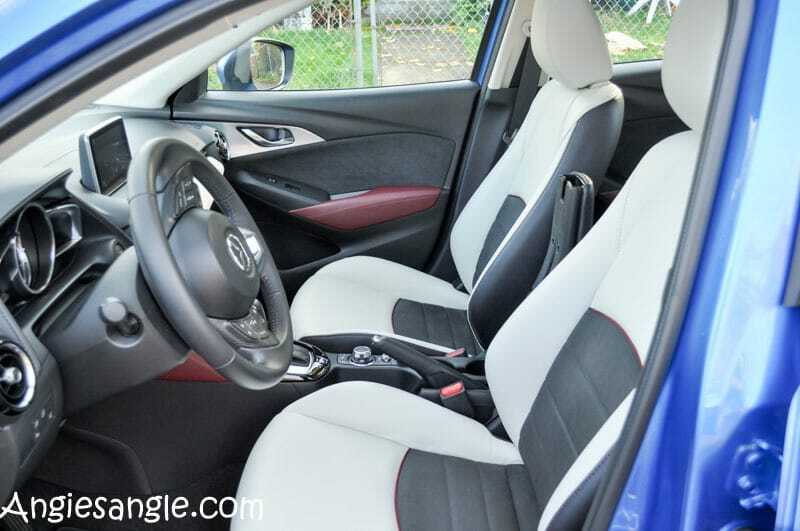 Seriously, hands down one of the most comfortable car seats we have had the pleasure to sit in. They are completely comfortable and soft. 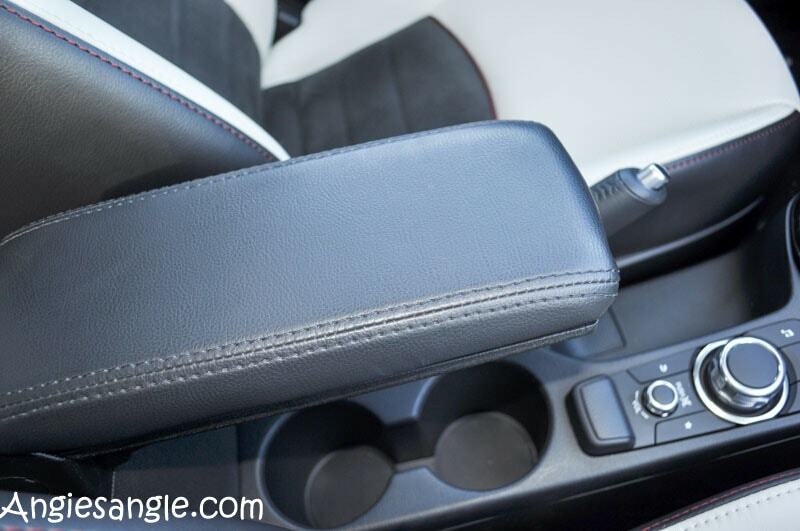 The heated seats you can feel; like seriously feel. It helped ease our achy back muscles while also warming up us on those chilly days. Excellent! 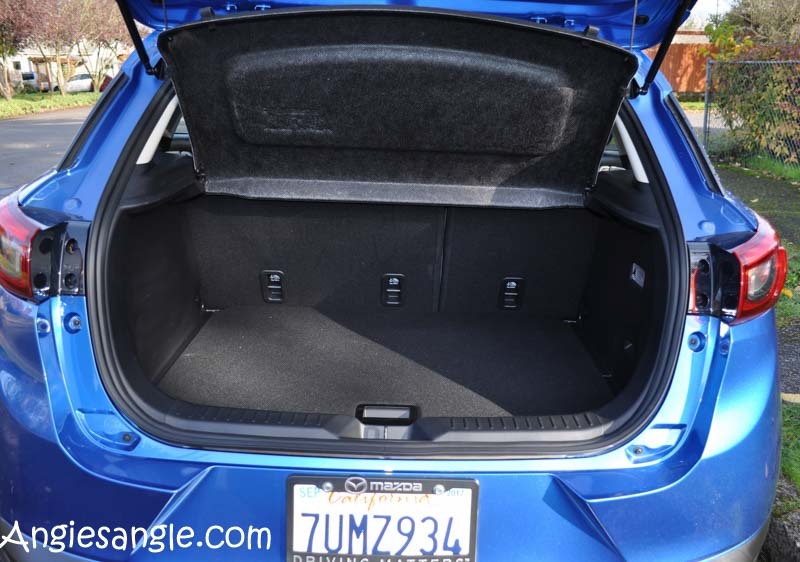 Before I move on from seats, I have to mention that both of the front seats were only manual adjust. Which we didn’t like at all. It makes it so hard to adjust where you need or want it. Would be lovely if there was an option for electric for them instead of the manual. 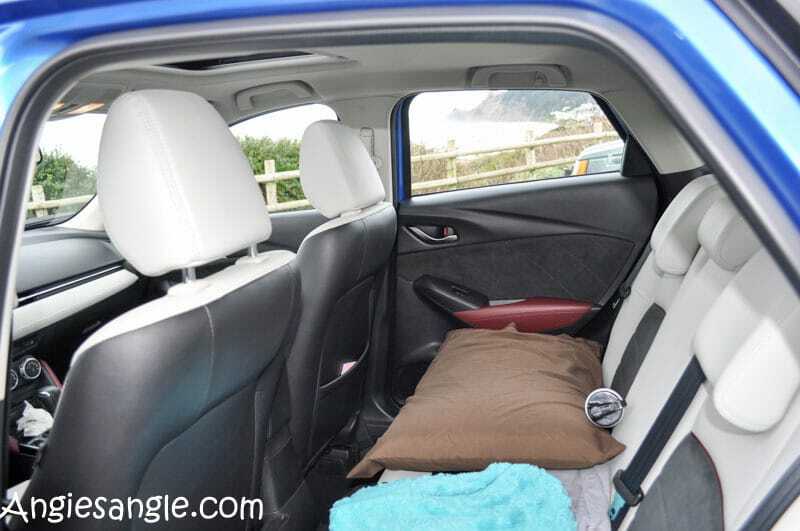 But, that was the only downfall when it came to these full-on comfort seats. Now looking past the most comfortable seats, ever. Let’s look a bit more in-depth of this sporty little ride. Most of this vehicle is much like its bigger sister the Mazda CX-5. With a few small changes in the more compact size. One of the noted changes I really liked was the active driving display. Where a little screen pops up when you start the car and you can see a digital reading of your speed & how much distance between you and the car in front of you. Color me impressed by that little feature by itself. 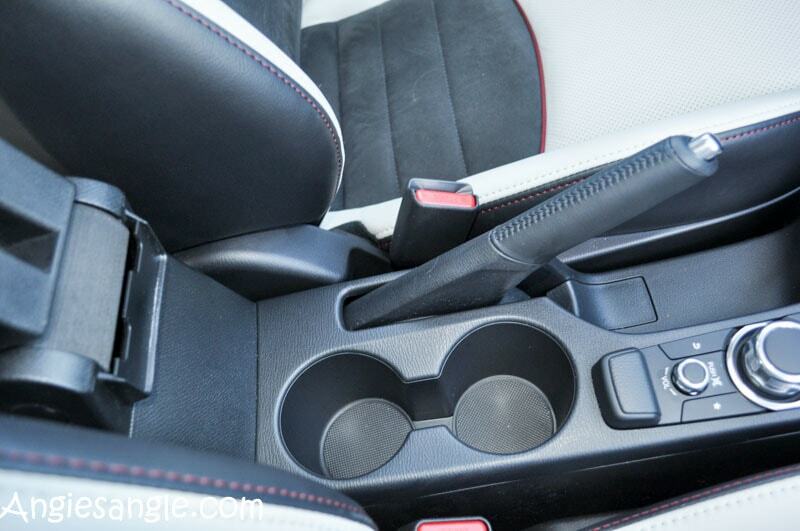 With a 2.0L engine that has skyactive-drive 6speed with a flip of the switch can be turned into sport mode. Sport made gives you 146 horsepower with 146 lb-ft torque! Handy all wheel drive so you can handle any road conditions. Gas mileage isn’t bad at all either with 27 city and 32 highway with a 29 average mph! Pretty great for a little CUV like this. 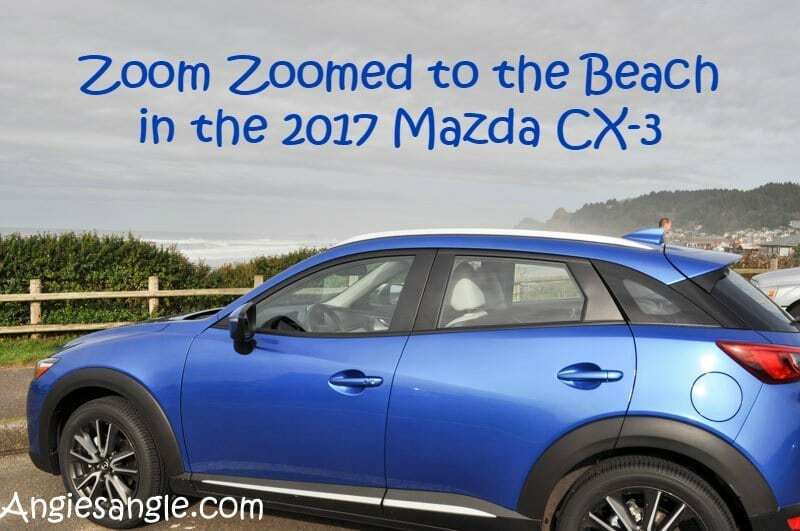 The 2017 Mazda CX-3 starts at 26, 240 with the optional package of GT I-ActiveSense (Mazda radar cruise control, smart city brake support and variable rain sensing wipers to name a few) adding in $1,170 to the price tag. As I briefly mentioned in the beginning of this post, we were lucky enough to take this beauty on a real quick tour of the coast line and boy did she like the view. It handled well on the one summit we had to head over to get the coast and we had surprising power. The seats made the driving even better as well. 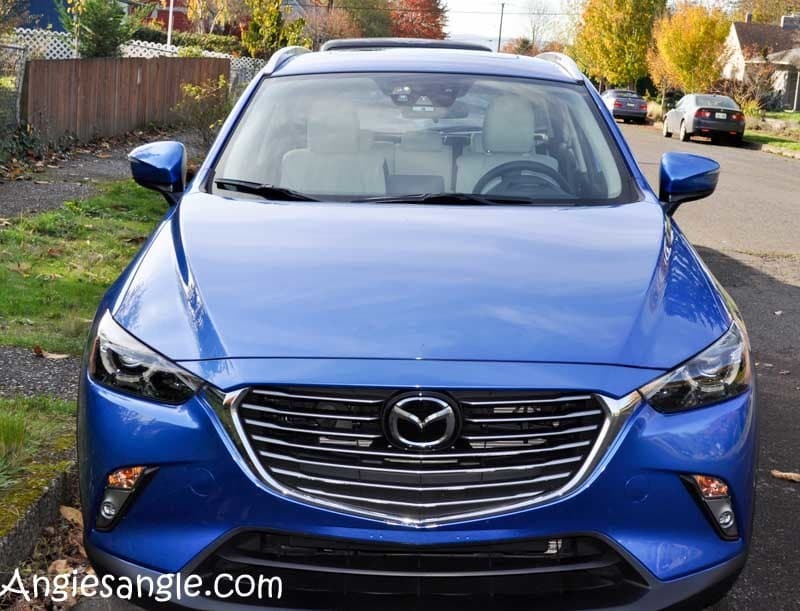 Overall, we enjoyed our little dynamic blue mica 2017 Mazda CX-3. It was a dream to drive the distance in. Our only small dislikes were again the cup holders, which were made even more awkward with an arm rest in the same area. 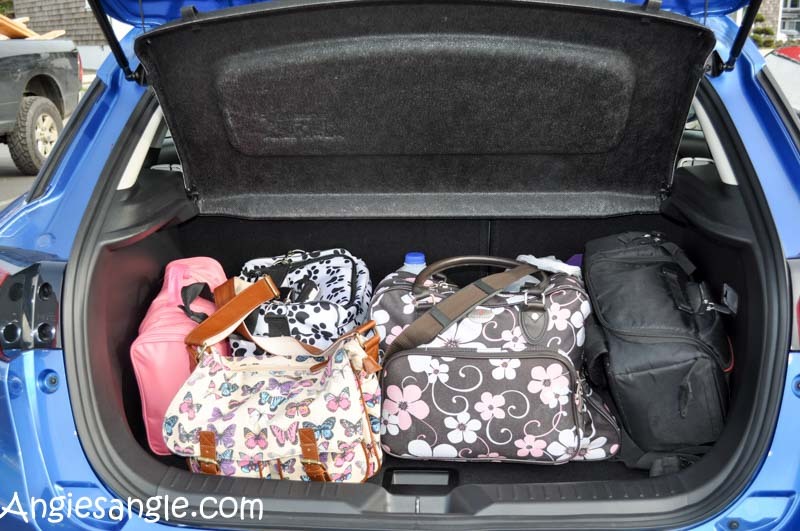 Also, of course, it wouldn’t have enough cargo space for us personally when it comes to traveling. Around town, it would be perfect. 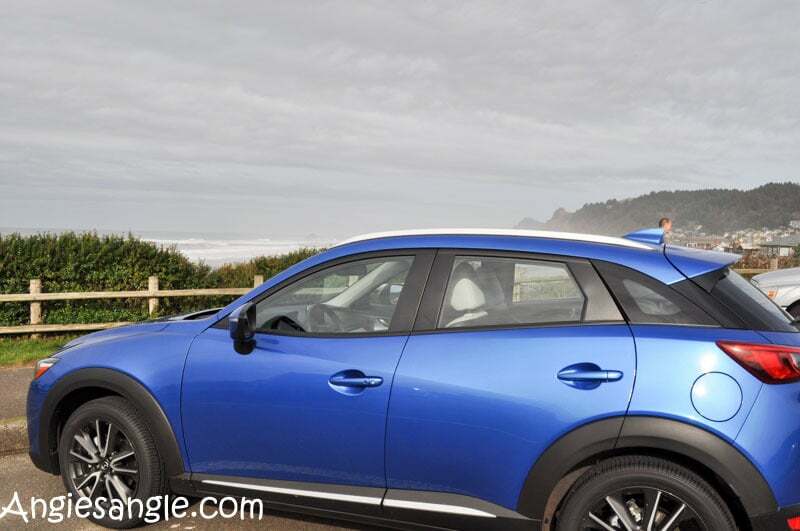 What do you think of the 2017 Mazda CX-3? Could it be your next vehicle? What did you like? 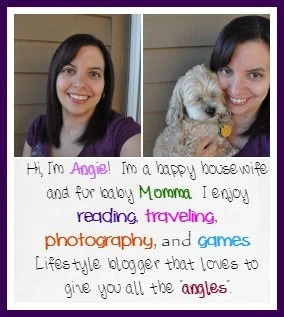 Do you want to know anything else that I may not have mentioned? Please ask!